You’ve finished your high definition edit – what are you going to do with it? Regular DVDs are standard definition only, and while you can downscale HD footage to SD quality to make normal DVDs, this won’t make the most of your high definition material. The obvious answer is a high definition disc format. For a while there were two options for making discs with HD content: Blu-ray (marketed by Sony) and HD-DVD (from Toshiba). Unfortunately for HD-DVD, Blu-ray achieved dominance in the HD disc market (largely due to Sony’s aggressive marketing, including the incorporation of Blu-ray drives into their Playstation 3 console), and Toshiba ceased development of HD-DVD in early 2008. SO WHAT’S SO GREAT ABOUT BLU-RAY? The Blu-ray format is technically far superior and much larger capacity than regular DVD. A single layer Blu-ray disc is 25GB and dual layer discs are 50GB. 200GB discs are promised in the future. The Blu-ray medium, capacity aside, is specifically designed to play HD video material, accessible through advanced navigation features and menu systems (including the ability to play several video streams simultaneously, for example to provide a picture-in-picture director’s commentary). IN WHICH FORMAT IS THE HD VIDEO STORED? Standard DVDs are based on the MPEG2 video format. The video on Blu-ray discs can be in either MPEG2, H264 (more advanced MPEG) or VC1 (a variation of Windows Media). Using INTEL QUICK SYNC, a feature built into the latest Intel Kaby Lake processors which can make an hour of Blu-ray video in about 20 minutes. 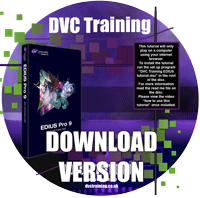 This is only used by Grass Valley EDIUS and Sony Vegas. Although you can use Quick Sync in Vegas you cannot use it in DVD Architect, although if buying Architect you would have both programs. Get a faster computer. The fastest current computers are not as fast as the Matrox MAX or Intel Quick sync, however they can be pretty fast. This does vary from one program to another as well. Adobe Premiere Pro CS6 is one of the fastest encoding programs and on an 2011 Pin system can make an hour of video in about 1 hour 10 minutes. EDIUS on the same system actually takes about 2½ hours. EDIUS on a Quick sync enabled system would take about 20 minutes, however, and the quality is just as good as with software. How do you make your own Blu-ray discs? Get a Blu-ray writer and some software. If you have a recent version of Encore, EDIUS or DVD Architect the chances are you have Blu-ray writing software already as they have been doing it for years. There are some specific Blu-ray features like pop-up menus, but apart from these the actual method of making a Blu-ray disc is the same as making a DVD. 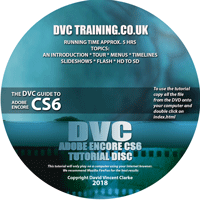 We have two comprehensive Blu-ray authoring programs: Adobe Encore and Sony DVD Architect. Both let you make a Blu-ray disc with all the features you would expect from a normal DVD – interactive menus, subtitles etc. Encore is our favourite of these two programs, with Sony DVD Architect a close second. You cannot buy Encore any more you can only rent it, which you do by renting Adobe Premiere Pro CC. To buy DVD Architect you have to buy Sony Vegas. 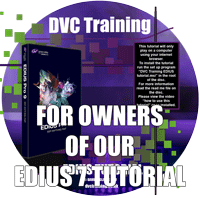 Grass Valley EDIUS also has Blu-ray writing built-in, and lets you make menus and customise them. It does not have as many features as Encore or Architect, but is simple to use. One major advantage is that it can use Intel Quick Sync to make Blu-ray discs faster. On the right kind of computer you could make an hour Blu-ray disc in about 20 minutes. Will my Blu-ray discs play on stand-alone players? Rather like DVDs if you use good quality discs then you should not have a problem. If you use cheap discs you may have a problem. There are two types of blank Blu-ray discs called low to high and high to low. We prefer High to Low discs. Low to High discs are made of an organic dye which is susceptible to sunlight and so may not last as long. We have also found them not as compatible as other discs. DVDs are also made of a dye that can be ruined by too much light, so this “feature” is nothing new. High to low discs are, in our opinion more durable. What is the alternative to Blu-ray? Apart from making standard def DVDs the only other option is to make some kind of file. Generally these are MP4 files which are made of the same kind of video as the Blu-ray files (H264). Therefore they take as long to make and can be the same quality as the original. How do you play them? Some Blu-ray players will play files and we are also getting smart TVs which can play all sorts of files, including MP4 files. You will need to copy them on to a USB PEN or s network hard drive which the TV can see so the TV can play them. This may become more common in the future as more and more people get smart TVs. You can also put them up on the Internet on YouTube or Vimeo for people to watch. If you just want to had a disc to someone else with some menus to help them find things, a Blu-ray is the best option. Can I put any HD video on a Blu-ray disc? No. When it was first invented we could not film in any size that was not allowed on a Blu-ray disc but these days even cheap AVCHD cameras can film as sizes not allowed on Blu-ray. For example some cameras can film a very nice picture at 1920×1080 50P and this is not allowed on a Blu-ray video disc. 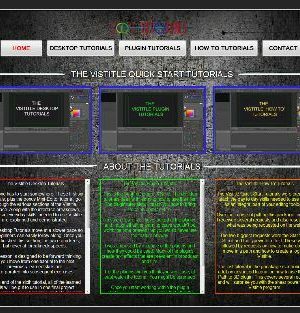 In this case you need to make a file and distribute it that way or downsize it to 1920 x 1080 50i which any decent editing program can do for you. You can see 1920×1080 50P is not mentioned and there are other surprising omissions like 1920×1080 25P. This standard is not likely to change because it was invented by a consortium of companies and they take a long time to make decisions.